Package shows: Rouge Pur Couture: Pure Colour Satiny Radiance. 1 lipstick is 3,8 gram. What the lipstick should do: Lips should be saturated with intense color thanks to the Coloreveal Technology. Natural extracts provide moisture that lasts all day. The lipstick also protects your lipstick because it has SPF 15. 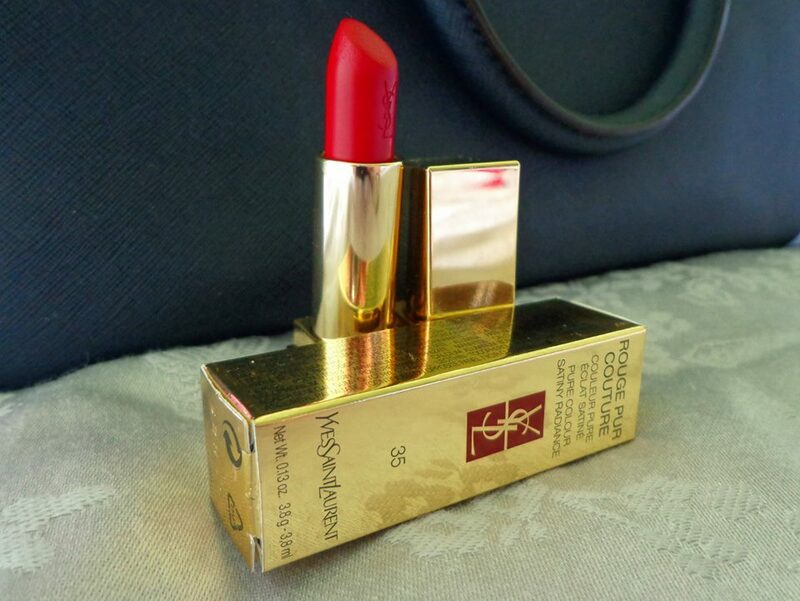 The lipstick itself looks fabulous and luxurious because of the golden package. The lipstick gives good coverage on the lips. Red is difficult color and I actually thought that this color wouldn’t suit me well because I often use red lipsticks with a more pink pigment. 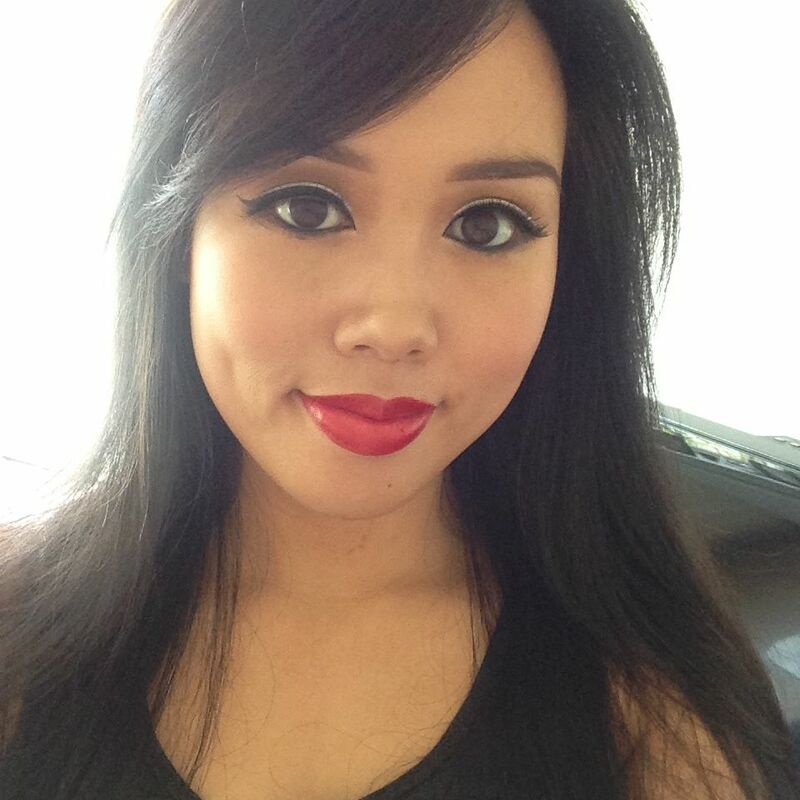 When I’ve tried the lipstick on it suited well. 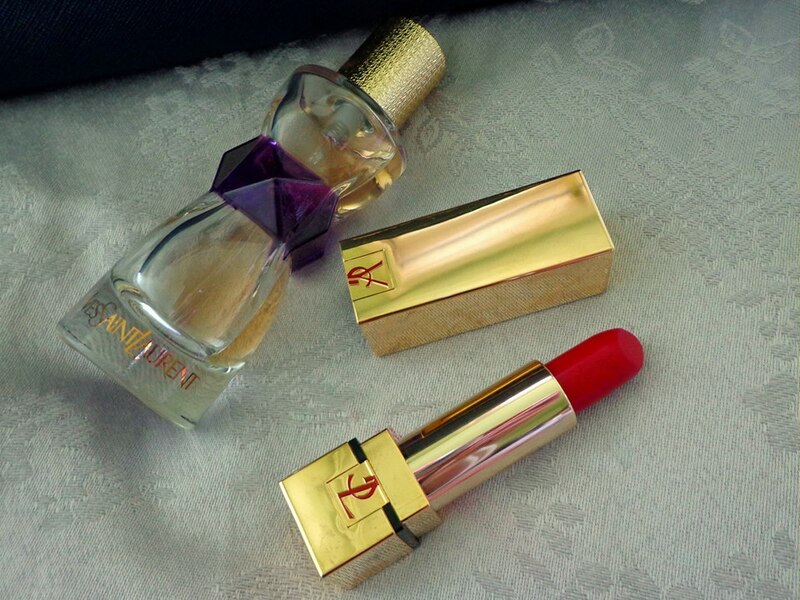 The lipstick really has a high pigmentation and it’s not easy to get rid of stains for example on clothes. Advice to keep the red lipstick stain of your teeth: Put your finger in your mouth and form an O with your mouth around your finger. Gently slide your finger straight out of your mouth and the red color on the inner lips will be now left on your finger. After a few hours the lipstick on the inside of my lips was gone anyway because of drinking and eating. The lipstick was intact on the other parts of the lips. Don’t like: After a few hours it looks quite obvious that the lipstick is gone on the inner parts of the lips.